Turning the big 1-8 isn’t all about drinking and clubbing. 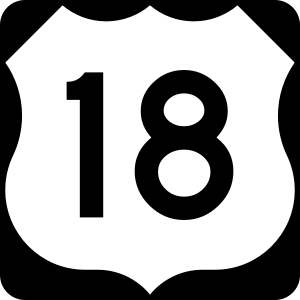 In fact, there are so many things you can legally do when you turn 18 that you may have forgotten – or you may not even know – about some of them! That’s why we’re here to help. We’ve compiled a list of some of the most unique and exciting things you can do at 18, without vodka and coke or a crazy tattoo in sight. OK, bear with us as far as the bingo is concerned, because it is really good fun. If you love socializing with your friends but feel like you’ve practically lived at the pub since your 18th birthday, why not grab a bunch of mates and head to the local bingo hall or casino? Sites like BeterBingo.com even offer the chance to play bingo from the comfort of your home; perfect if the hangover has gotten a little too much. If you fancy yourself as the next David Cameron, now is the time for your dreams to start taking shape. At 18 you can legally run for a Member of Parliament, local councillor or mayor. So, what are you waiting for? You could soon be the new Boris Johnson! For all of you adrenaline junkies who have been counting down the days until your 18th birthday so that you can finally take to the skies, your wait will be over. 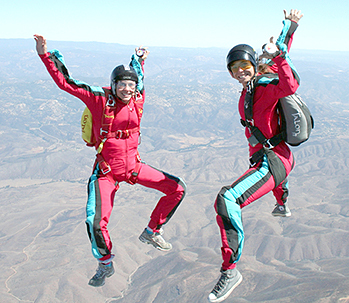 Some companies like Virgin Experience Days offer a skydive experience to 16 and 17 year olds, but with parental permission. As soon as you turn 18 this nuisance will be banished and you will be free to jump out of a plane (and your skin) as you choose. This one may seem a little morbid, but it’s an unusual one all the same! You can start to think about your future and include your nearest and dearest in your very own will. And here’s a hint from us – don’t forget mum and dad. Another nice cheerful one is the fact that 18 year olds can legally donate organs and tissue after they have passed away without their parent’s permission. Children can join the NHS Organ Donor Register, but would require parental consent before any donations are made. I can almost visualise a storm of angry parents coming to get me for suggesting this, but at 18, you can legally change your name by depol. So, if you’ve always had a strong disliking for your name, or just fancy a change, go for it! (Just don’t tell your mum and dad where you got the idea). At 18, you can apply for a mortgage, lease a house or flat, buy land or hold a tenancy; all of your own accord. You can also legally have other contracts in your own name, such as phone contracts or bills. You can even sell your items at pawn shops, too. At 18 am I allowed to move out? Just wondering if it’s true. Because I’m 18 and wanted to move out but my mom is like ” no you can’t till your 20″. But technically I can move out by law now at 1 8 right? ?